Treat your loved ones to the gift of imagination. 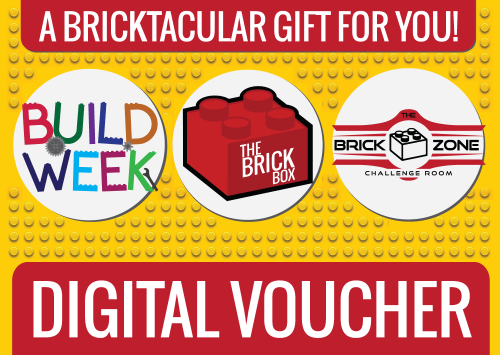 With a Brick Box Gift Voucher! Big or small we’ve got fun for all…. 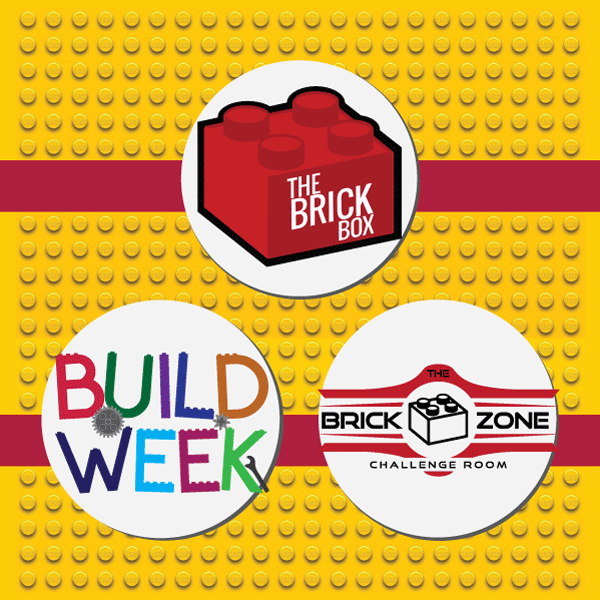 whether it’s a Build Week session for the children, a chance to get the top score in the Brick Zone with the whole family or credit for our store with sets, bricks and over 800 genuine Lego minifigures to choose from. We’ve got you covered! 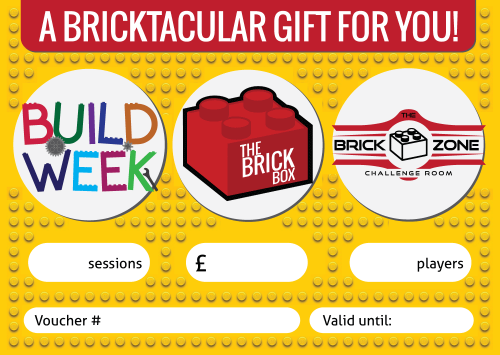 Vouchers are valid for a whole year so you’ve plenty of time to get stuck in and experience The Brick Box. They are available as both a Physical Gift Voucher (that we’ll post to you), or a Digital Gift Voucher (You’ll receive a voucher code emailed to you to use in-store or online).